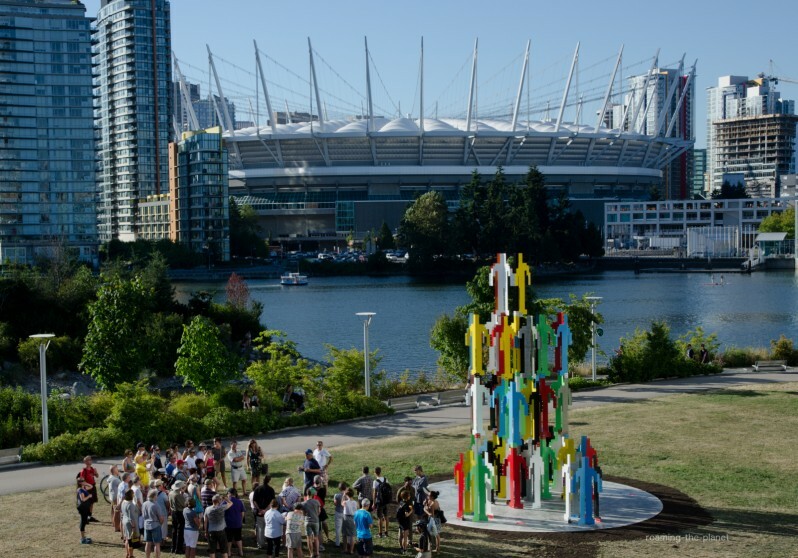 Drawn to Olympic Village, where Vancouverites worked together to forge one of Canada’s greenest communities from an industrial lot, Jonathan Borofsky personally selected the site for the latest sculpture in his celebrated Human Structure series. 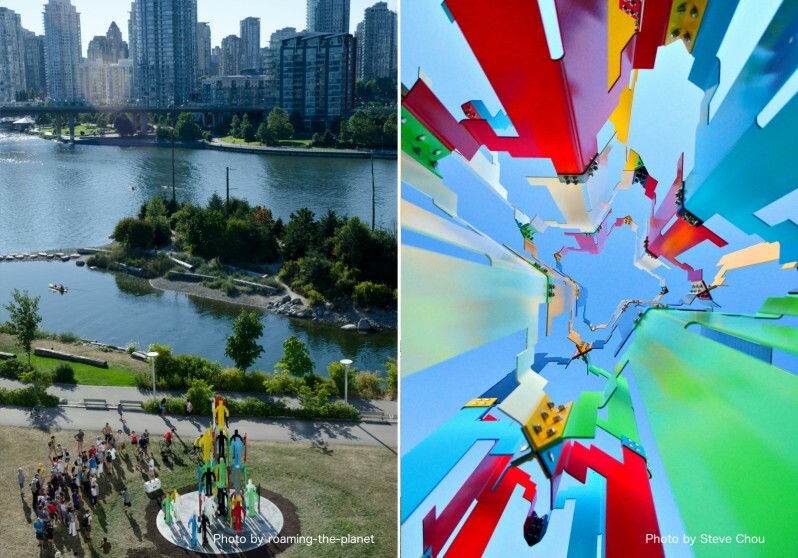 In keeping with this location, and with the 2014 – 2016 Vancouver Biennale theme “Open Borders/Crossroads Vancouver”, Human Structures Vancouver focused on the notion of humanity working together to build our world. 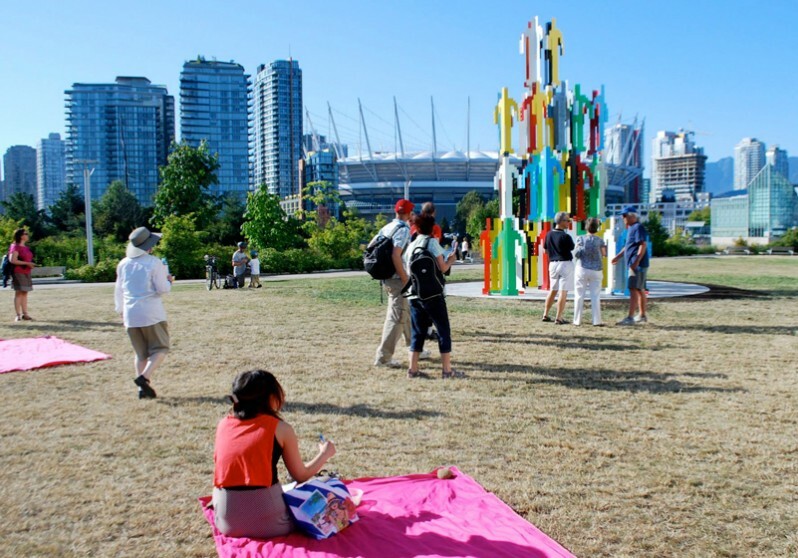 This sculpture, comprised of a series of brightly-coloured interconnected figures, conveys a sense of universal connectivity. The distinctive shape of the galvanized steel plates refers to pixels, the base unit of computer imagery, and comments on the structural connections in our digital world. 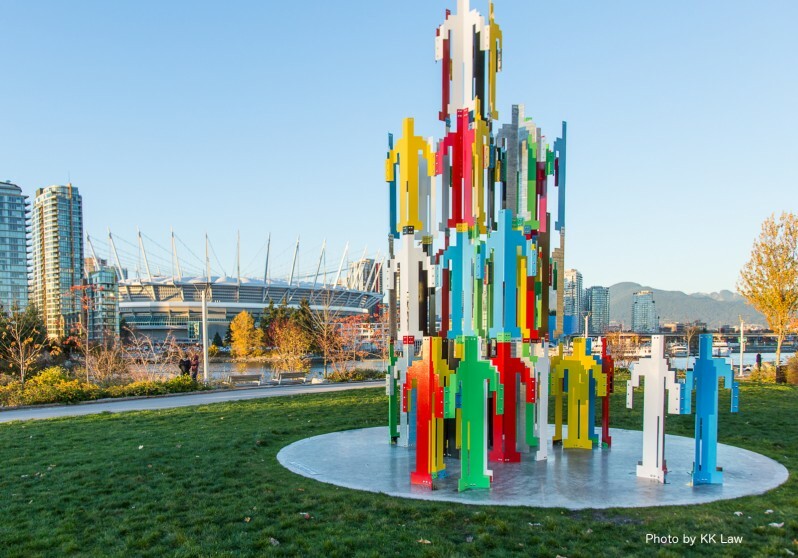 While previous works in the series have consisted of a single tower of figures, Human Structures Vancouver marked the artist’s first realization of multiple groupings. As the central structure stretches up to the sky, two smaller configurations form preliminary foundations, alluding to a continuous cycle of growth. Through this sculpture, Borofsky sought to nurture a sense of public positivity. 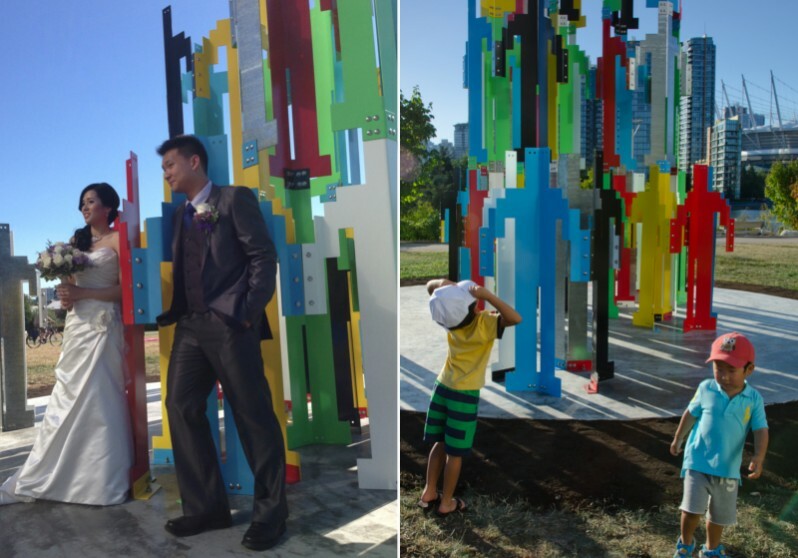 Human Structures Vancouver is currently on loan at the Montreal Museum of Fine Arts for La Balade pour la Paix: An Open-Air Museum exhibit until October 29, 2017, and can be seen along with many other celebrated public works of art on Sherbooke Street.